This is a large metropolitan cemetery to the south of the city in the suburb of Bagneux. From the railway station take the Avenue Mark Dormoy. Continue straight on until you reach the second set of traffic lights when the cemetery entrance will be found on the right. Near the east corner of the cemetery are two small Commonwealth plots. 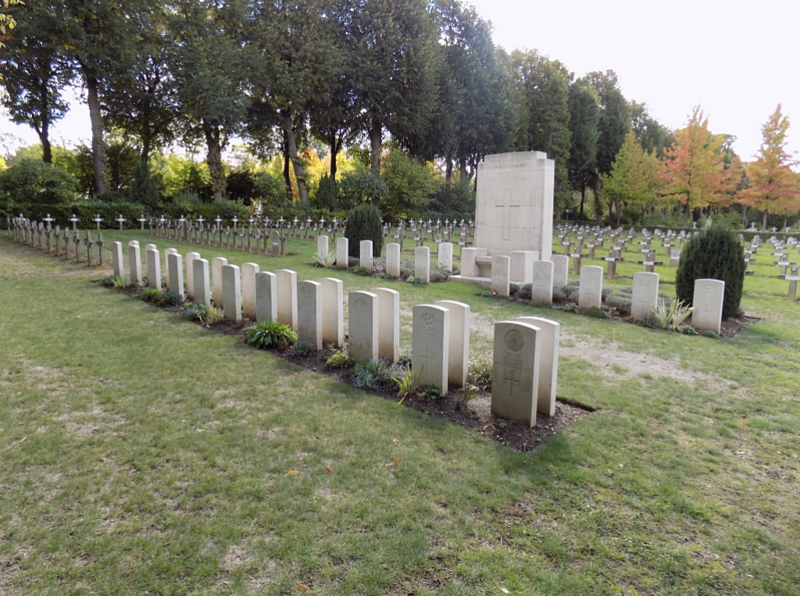 The British War Graves in the neighbourhood of Paris fall into three main groups. The earliest are those of soldiers who died of wounds in French and British hospitals in or near Paris in 1914, when the ambulance trains ran South-Westward from the Aisne and the Marne. The second group is due to the presence of British troops in the Aisne and the Marne in the summer of 1918. The third is a number of graves of men who died after the Armistice. 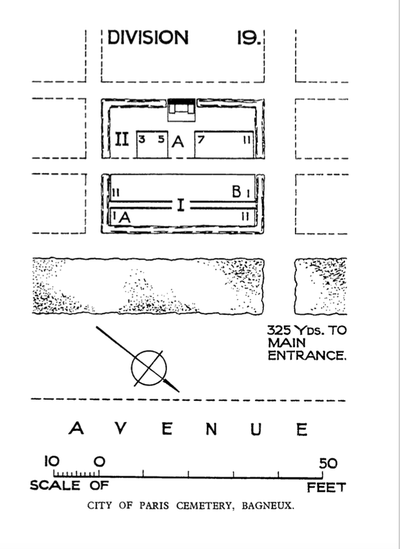 In the 19th Division, near the East corner, are two small Commonwealth Plots. There are now over 30, 1914-18 and a small number of 1939-45 war casualties commemorated in this site. The plots cover an area of 133 square metres. 20035 Private Frederick Johnson, 2nd Bn. Border Regiment executed for desertion on 1st August 1918. Special Memorial. Alternative Commemoration - buried in Vincennes New Communal Cemetery, Fontenay-Sous-Bois. 20037 Private Harry McClair, 2nd Bn. Border Regiment executed for desertion on 1st August 1918. Son of Sarah Ann Emmerson, of 56, Norfolk St., Wisbech, Cambs. Alternative Commemoration - buried in Vincennes New Communal Cemetery, Fontenay-Sous-Bois.